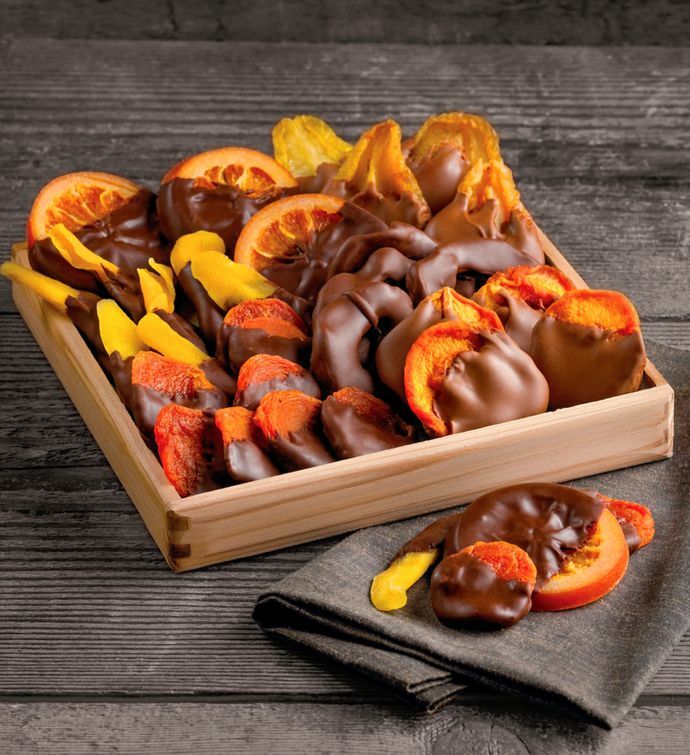 Chocolate-Dipped Dried Fruit combines the good-for-you delights of dried fruits like pears, apples, and apricots with the irresistible flavor of rich, velvety chocolate. A gift of chocolate-covered fruit adds to any celebration. The sweet taste of dried-fruit chocolate gift makes an exceptional snack, hostess gift, or treat to share with the office.